Etihad Airways, which is launching three-times-weekly service between Abu Dhabi and Dallas/Fort Worth International Airport on December 3, says it is going ahead with the frequency increase in April in order to meet strong demand from business and leisure travelers for seats on the ultra-long-haul route. Dallas/Fort Worth International Airport (IATA code DFW) will become the airline’s sixth route in the United States. Etihad Airways already serves New York JFK, Washington Dulles International Airport, Chicago and Los Angeles and will launch service to San Francisco on November 18. 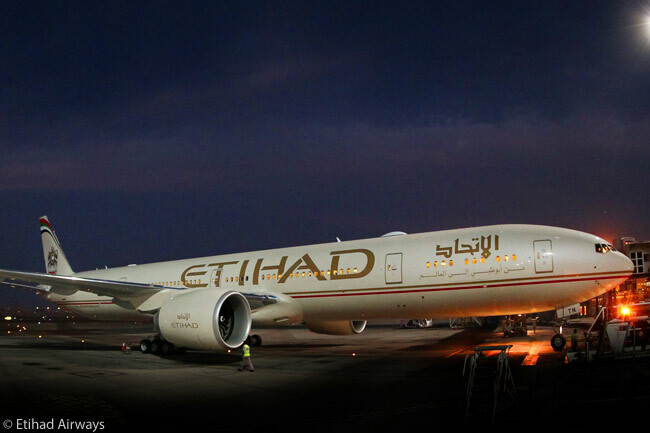 Etihad Airways will operate ultra-long-range Boeing 777-200LR widebodies on its new Abu Dhabi-Dallas/Fort Worth flights. Each of its 777-200LRs is outfitted with eight seats in First Class, 40 seats in Business Class and 177 seats in Economy Class. The Abu Dhabi carrier bought the five Boeing 777-200LRs it uses on its ultra-long-range range services from Abu Dhabi to the southern and western U.S. as young used aircraft from Air India, the two airlines agreeing on the purchase in October 2013. 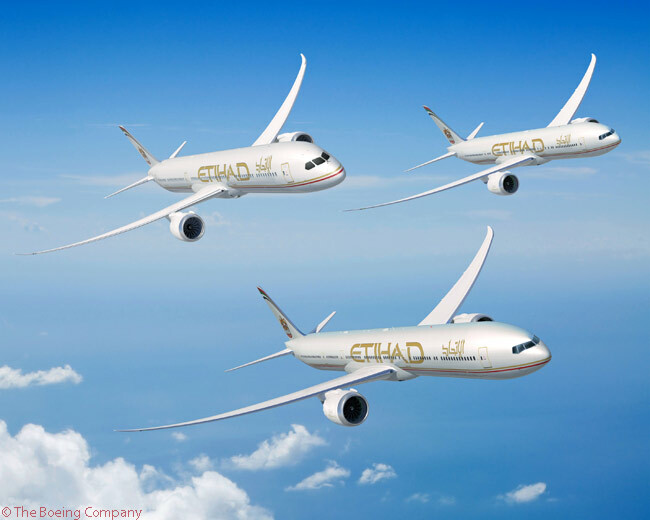 Etihad began taking delivery of the aircraft in the first half of 2014. According to Etihad Airways, its frequency increase on the Abu Dhabi-DFW route will lead to enhanced travel connections between the United States and key markets worldwide, including destinations in the Gulf Coast Council region and 12 cities served by Etihad Airways and its partner Jet Airways throughout India, such as Delhi, Mumbai, Hyderabad and Chennai. Etihad Airways also plans to offer convenient connections with its codeshare partner American Airlines on a number of domestic routes from Dallas/Fort Worth to major cities throughout the U.S. The airline’s daily flights to and from Dallas/Fort Worth can be booked from October 23 on www.etihad.com, through Etihad Airways’ Contact Centers, or via travel agents. Etihad Airways’ schedule for Dallas/Fort Worth flights will see its flight number EY161 depart Abu Dhabi International Airport (AUH) at 10.10 a.m. on Wednesdays, Fridays and Sundays from December 3 and arrive at DFW at 4:50 p.m. local time. From April 16, the flight will become a daily one. In the other direction, flight EY160 will leave DFW at 6:50 p.m. on Wednesdays, Fridays and Sundays from December 3 and reach AUH at 8:00 p.m. the following evening, local time. From April 16 the frequency of the service will increase to a daily flight.